After losing his father four years ago to Parkinson’s Disease, Kyle Kravitz (Tampa, 2019) quickly went to work to eradicate the disease that affects roughly 5 million people in the world. “I was extremely close with my dad, who was sick from the day I was born. He lived with Parkinson’s for 25 years, but you would never have known he was suffering. 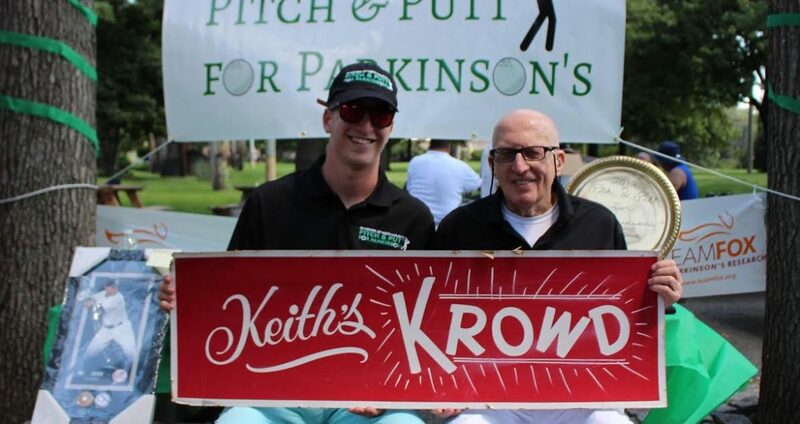 Even in his worst condition, he would take me to the park to play ball and run around.” Brother Kravitz recently raised $10,860 for Parkinson’s research by organizing a charity golf outing in honor of his late father in Queens, NY. After his father’s passing, Brother Kravitz found his home-away-from-home at the University of Tampa. The Michael J. Fox Foundation is the leading organization for research on Parkinson’s disease and where Brother Kravitz just finished his first summer internship. In the spirit of advancing Tikkun Olam, Brother Kravitz hopes to take this learning experience from the Michael J. Fox Foundation and use it to better the philanthropic efforts of the Tau Phi chapter. “I want our chapter to become a major player in philanthropy for AEPi. The possibilities are endless for us.” He firmly believes that because of AEPi, learning opportunities never end. “I have grown as a person, a Jew and a leader because of my fraternity. AEPi has molded me.” He currently serves as the chapter Master and hopes to continue pushing his chapter brothers to get as involved as possible and make a difference in the world.